Horus 47: Set to Fly on Sunday 4th Feb for SHSSP! After the successful Southern Hemisphere Space Studies Program publicity flight last week, we are now planning to fly the Science flight this coming Sunday. 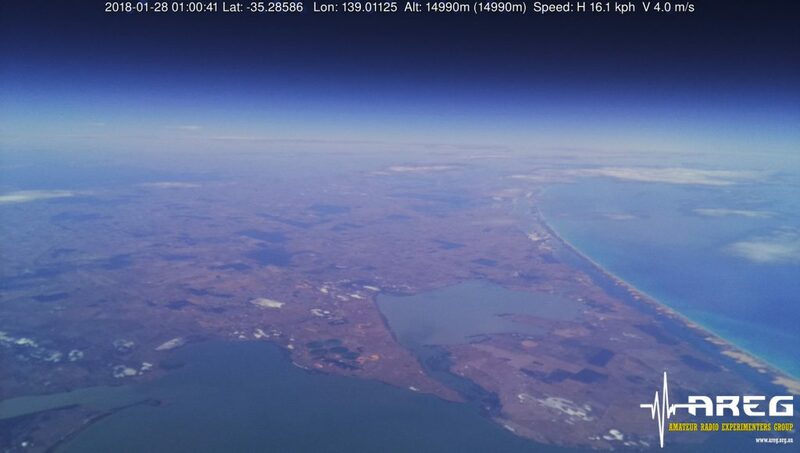 This flight has two main experiments on it, the first being a Spectrometer which will collect atmospheric composition data for the university and the second is a downward facing camera with a 9DOF inertial measurement unit which is going to be used to create stitched together images from the flight area. The flight will lift off at 10:00am ACDT on the 4th of February from Younghusband in the Murray Mallee ~150km east of Adelaide. As always amateur radio operators from across central and SE Australia are encouraged to get involved with telemetry reception and forwarding to the central habhub.org database. There are two camera payloads as well as the RTTY and telecommand systems planned for this flight. Note that this is a few orders of magnitude more complicated than setting up for RTTY, and requires a machine running a recent version of Ubuntu, some Linux experience, and a RTLSDR+Preamp. You also need to be within 100-150km of the balloon to receive sufficient signal. If you have a WENET capable ground station please concentrate on the 441.2MHz downlink to maximise the data we collect for the university. Keep watching the AREG Website for details as things can always change the closer we get to lift off. This entry was posted in Horus and tagged hab, Project Horus, shssp18 by VK5GR. Bookmark the permalink.